There’s a fine veil between our physical and spiritual lives. Much of what is created in the studio is a product of what, I believe, is being downloaded from a higher source. From the rough, scrappy Jiffy-Mixes I create, to the finer works that have had time to age a bit, the process of allowing movement to come through me without too much deliberation has been my joy as a choreographer. 2017’s political climate wrestled with my spirit– I know I’m not alone here! As with most artists, I took to the studio and used the deep feelings from within to mix-up a variety of movement, inspired by our country’s state of conflict. The timing of the year was filled with fits and starts. With many obstacles hitting me outside of my dance life, it was a slow start to organize events. Honoring my qualitative time with dance has become more important than quantity, so taking my time was part of the rhythm. The quality of dancers I used this year, some new and some veterans, sparked new frequencies of energy that started after my June Master Class. Not only did I love the experience teaching at Ripley Grier Studios, but I was so thrilled to have had a live accompanist, William Ruiz, to lead us through the hot, sweaty, rhythmic class — a high time for me, and per the feedback, a high time for the dancers, too! Dream Spell was a highlight for me in August, when in just two-hours-plus, we created another one for the archives in our Jiffy-Mix series. The dancers (several chosen from the Master Class), were so inspiring, and that process of higher- source downloading, definitely assisted me through the day! New artists also appeared that day with our videographer and filmmaker, juicing-up the energy in the room even more! Joel Stephens created a film about the process of our day, entitled, “Ebb and Flow.” With music by collaborating artist, Nicole Renaud, it was pure energy in motion, filmed with an eye for innovation. Our day together also raised $750 for Peace Community Chapel’s SummerStock Fund, where donations went to: Bridgeport Rescue Mission (Bridgeport); Beth-El Center (Milford); New Covenant Center (Stamford); and Food Bank For NYC. Thank you to all our donors! “Willing to Catch” was a special time for me in the Fall, working with four amazing artists: Claire Hancock, Paulo Gutierrez, James A. Pierce, III, and Heidi Sutherland. The two couples, dancing the same duet, embodied the movement with their own distinct styles, delivering a story from the heart each time they took the stage. From our NYC CBG Fall Dance Festival performance, to the Temple University Alumni Dance Concert, the grace and strength these dancers conveyed, superseded my expectations! I was so proud of them, and so honored to have had amazing photographers involved with our events, who captured the essence of my work, and the deep level of the conviction and passion of the dancers. Thanks to Christian, Noel Valero, and Bill H, for their time and talents! It was a joy to be back on the old stomping grounds of Temple during my residency this Fall, teaching to a new crop of fresh and eager dancers, who seemed happy to spend time with an old vet! The best thing about the picture of Claire looking through the veil in the picture at the top of this blog (taken during the making of Dream Spell), is that that veil was from my Masters’ Dance Concert, roughly thirty years ago. It was then that I knew about the process of creating coming from a higher source. 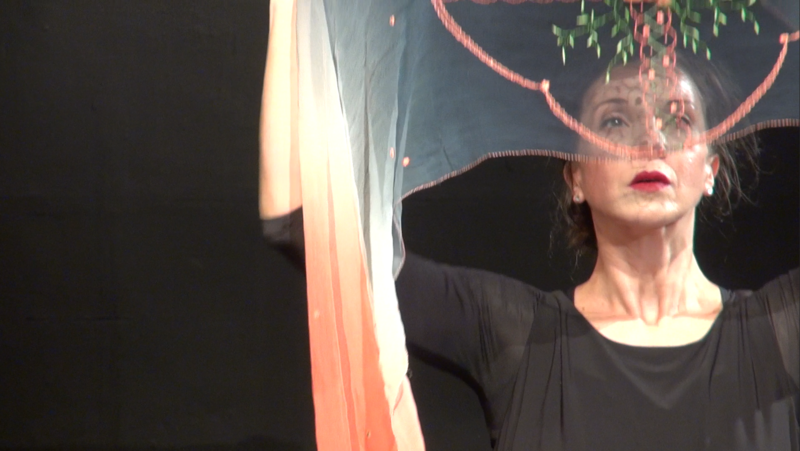 That veil was used in a solo I choreographed about a woman looking back at her life, and seeing how she triumphed over adversity — the great story of our time, and the irony of this year. An insider’s view from behind the veil will tell you that it’s all just an illusion — nothing remains the same, and everything is always changing. 2017 was on its way to breaking our spirit, but somehow we triumphed, yet again… we kept the issues of the day at bay, and let the spirit pour through us, washing away all that tainted the American landscape, and all the muck that got caught in our spiritual veils. Alas, we put the year to rest, and allow for 2018 to download all the goodness it has to offer! Happy New Year! And thanks to all the artists who contributed this year, and to all the ACD supporters! Harvesting Two Fall Dance Weekends! Autumn started on a busy note as two back-to-back weekends of dance loaded my schedule, but lightened my heart! With 26 years under my belt with Adams Company Dance, I still approach each project with the eagerness of a kid learning to ride a bike for the first time. Nothing ever feels mundane once I enter the studio and see the essence of beauty before me in each dancer. 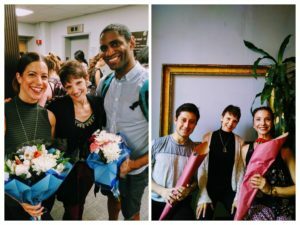 Two teams of dancers made it possible to perform “Willing to Catch,” a new work which began in August, for both the CBG Fall Dance Festival in Soho, September 30th and October 1st, followed by the Temple University Alumni Dance Concert on October 6th and 7th. Dancers Claire Hancock, (a dancer whom I’ve known since she was seven!!) who coupled with Paulo Gutierrez ( a dancer who attended my Master Class in June); and James A. Pierce, III (longtime dancer with ACD), who coupled with Heidi Sutherland (another dancer who attended my Master Class)– took on the new piece with vim and vigor! With an attitude of gratitude I will treasure these Fall weekends with these extraordinarily gifted dancers, and give thanks to the bounty we reaped during this time of harvest! 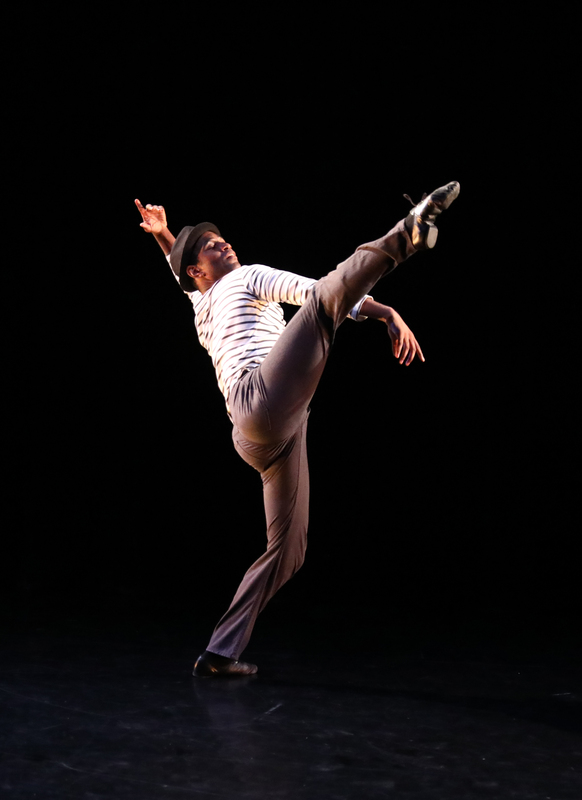 Adams Company Dance Performing on May 4th, 2019 at Triskelion Arts!!! © All rights reserved | Web Design by Antelope Web.